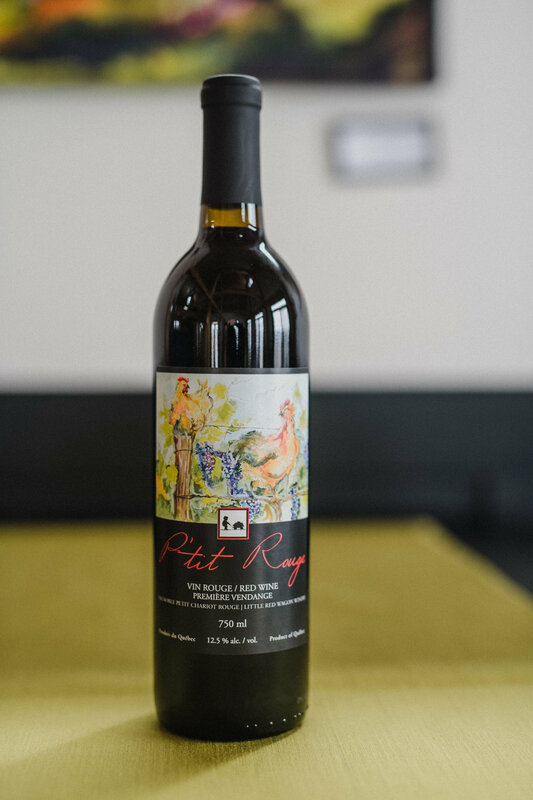 All three of our wines at Little Red Wagon Winery are made from our Nordic varieties of grapes, grown on site. Our vineyard is 5 acres and a whole lot of work, but the outcome is always worth it! Our varieties are Marquette, Louise Swenson, Petit Perle, Frontenac Noir, Frontenac Blanc, and Frontenac Gris. We would love to see you at the winery to share our wine and show you all we've been up to! If you want to find out more about the vineyard, click here. Find out more about our 3 wines below. Sample what art is on the walls right now at the winery. 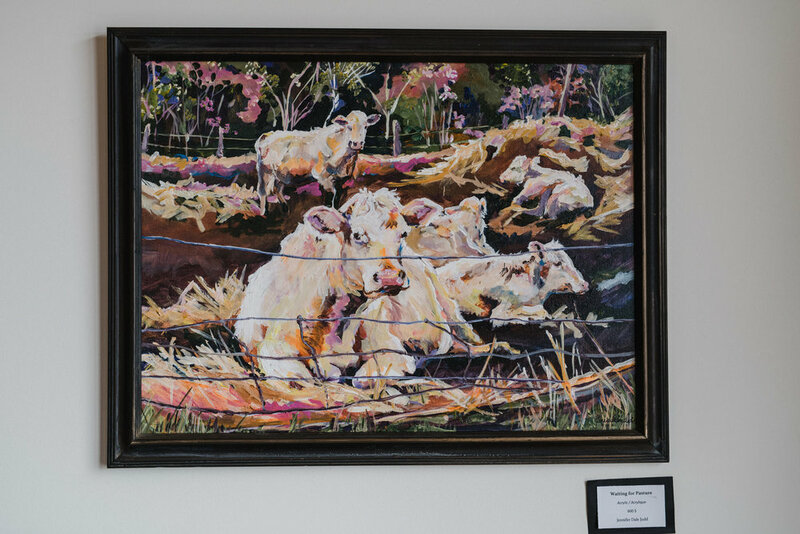 Come see for yourself the vibrant cow paintings, landscapes, and more! All art on the wine labels and on the walls is the creation of owner and resident artist Jennifer Dale Judd.